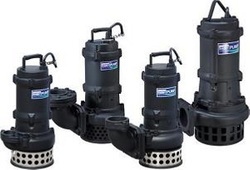 We're proud to offer HCP Pumps to our customers. 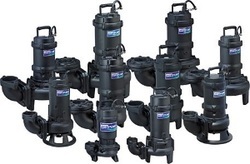 From grinder pumps to large submersibles to suction lift pumps, HCP Pumps offers great solutions. 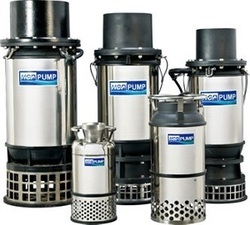 Below are just some of the pumps available. Click the links for more information or let us know what you're interested in! 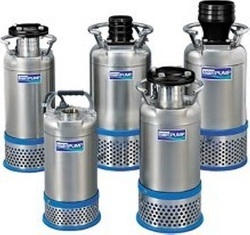 Compact and light weight, yet a durable submersible pumpfor clean and contaminated water. 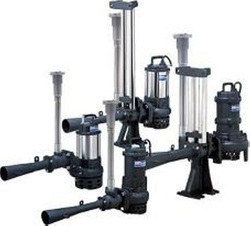 Submersible sewage pumps for permanent and portable installation. A series of dewatering pumps that are heavy duty cast iron construction,with a high-chrome alloy impeller. These pumps are a series of general dewatering pumps, that screams reliability!Complete stainless steel outer cover on a pump that offers unmatched wear resistanceand performance. Excellent use in engineering applications, dewatering applications,with the ease of mobility for use by service industries, such as contractors and installers. 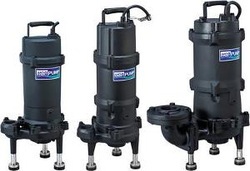 A great solids handling, and highly efficient series of pumps.Compact, portable, and durable submersible pumps that are to be used in:factories, septic tanks, sewage pump stations, and pumping drainage & surface water. 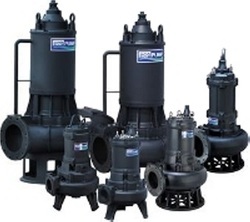 Also known as the Grinder Series, these pumps offer a proven method of reducing wasteinto a fine slurry for transfer to a variety of sewage treatment applications. This serieswas specially designed for pressure sewage systems, but is also ideal for use in residential,industrial, municipal and various wastewater and sewage applications. The IF Series are submersible pumps with a high suspended solids passagefor wastewater management, ranging in HP from 2.5 to 250. 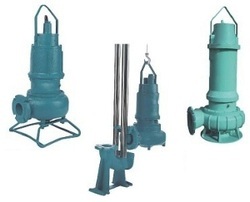 A series of submersible ejector pumps that is equipped with a specialmix chamber design, high efficiency sewage impeller design, and simple construction. 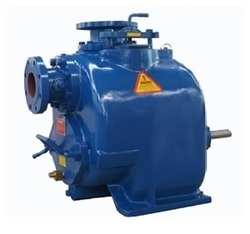 Large volume transfer pumps with almost no vibration or noise by use of theaxial and mix flow design. Made for use in agriculture water pumping, drainagefor large volume water applications, industrial, water extracting from rivers &lakes, and large volume dewatering. HCP propeller pumps are designed to be the most cost effectivepumps on the market today. They are low-head, high-flow pumps thatoperate directly in the pumped liquid and are easily installed. These self priming pumps are heavy duty constructed with a large volute design.The large volute allows the pumps to reprime automatically in an open system,without the need of a suction or discharge check valve.